There is no better way to get into the festive spirit than to visit Europe’s best Christmas markets. 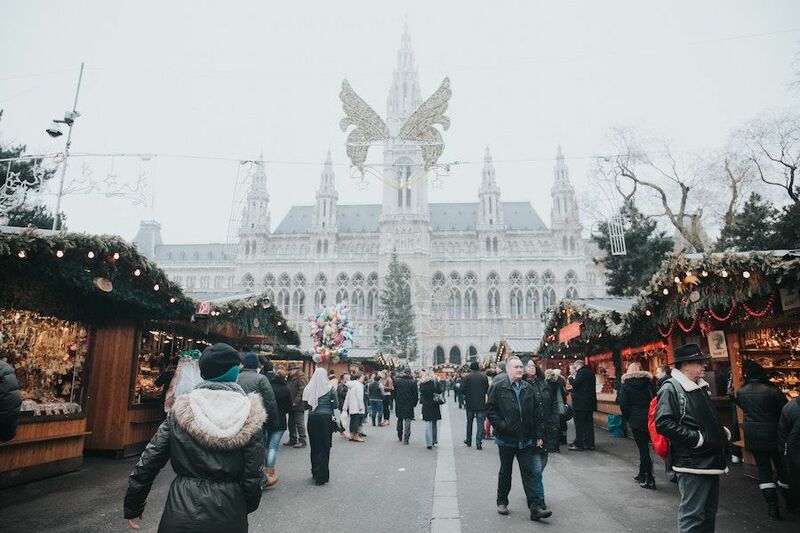 The best Christmas markets bring tourists and locals together to celebrate the festive season. 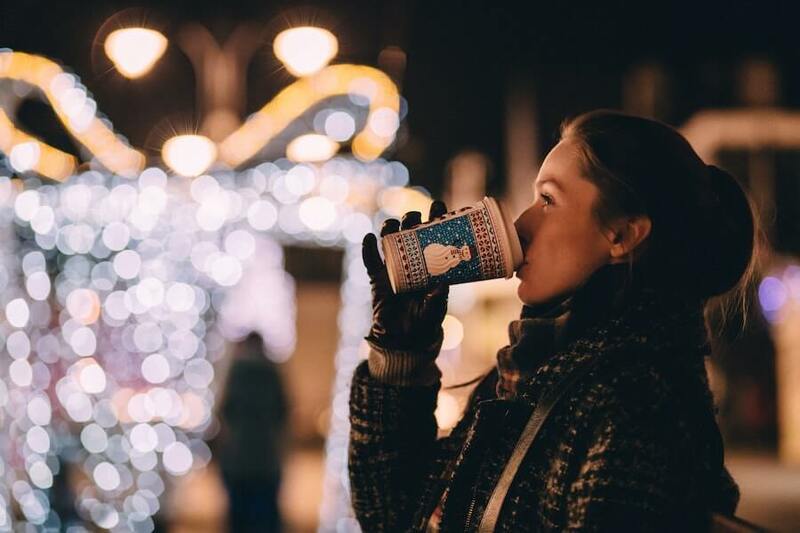 If the cold gets too much, a sip of Bailey’s hot chocolate or hot mulled wine will fight off the cold whilst you browse through the stalls on offer. Europe is home to the world’s best Christmas markets. They are a great place to immerse yourself in the country’s culture whilst enjoying local food, drinks and festive activities on offer. Our guide to the best Christmas markets in Europe will show you the best things to do in each market. There is also handy information on opening times and what to do when you’re there. Winter at MusiemQuartier offers a unique Christmas market experience! Its markets are run by designers offering their best creations for sale. The best thing is that the designers change every week and so the products on offer change. You’ll definitely find something unique and interesting that will make all your friends jealous back home! After your successful purchases, dance the night away as DJ’s play every Tuesday’s and Wednesday’s and concerts are run every Thursday’s. If you’re a vinyl lover, you’ll have to visit Vinyl Circus. It’s a place where you can sample the music of local DJ’s and purchase them to take home with you. Make sure you save some time for the market’s events! Instead of a standard Ice Skating rink, Winter at MQ has brought in a Curling rink! Split yourself into teams to see which group is the curling champion. Loser buys drinks! You can book your tickets here. If curling is not your sport you can try their micro-extreme bowling which is described as a mix of bowling, billiards and golf. That’s definitely worth a try! Get your accommodation sorted! Stay with us at Safestay. Check out our Vienna Hostel and book your stay with us now. Hours Stands with products: 10 a.m. to 10 pm. Stands with refreshment: 10 a.m. till midnight. To start your Christmas market experience, be present near the 20 meter Christmas Tree in the Old Town Square Christmas market. Every day at 4:30 pm, as the sun goes down, it will light up during a spectacular lighting ceremony. How great will that look on your Instagram story! Make sure you get there early, it’s a popular event so it gets really busy! If you’re a foodie you will love the range of local food available at these stalls. You’ll have to try the large hams roasted on spits (Pražská Šunka); tasty barbecued sausages (klobása) and Hungarian flatbread topped with garlic! But maybe not all in one go! 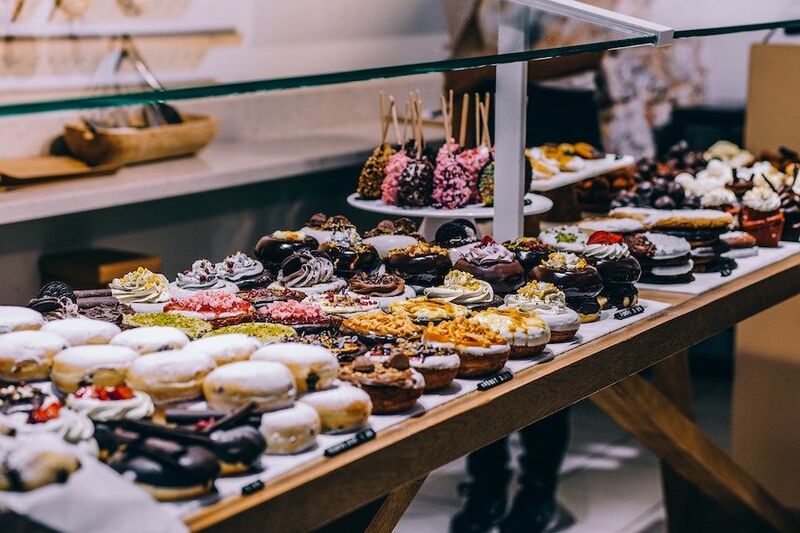 Make sure you save some room for dessert, there is a variety of cakes and pastries available! A delicious one to try is ‘Trdelník’ which is a sugar-coated pastry. Even when it gets a little bit chilly you can indulge in some hot wine (svařené víno or svařák), grog, and a warm honey liquor called medovina. Get your accommodation sorted! Stay with us at Safestay. Check out our Prague Hostel and book your stay with us now. Hours Every day from 12 pm to 10 pm – except Monday 24 December and 31 December: from 12 pm to 6 pm. You’ll have to start Brussel’s Christmas market with a ride on the 55 metre high Ferris Wheel. This will give you the best view of the whole market! Be sure to take a picture of the market when you reach the top and tag it with our hashtag #SafestayBrussels. 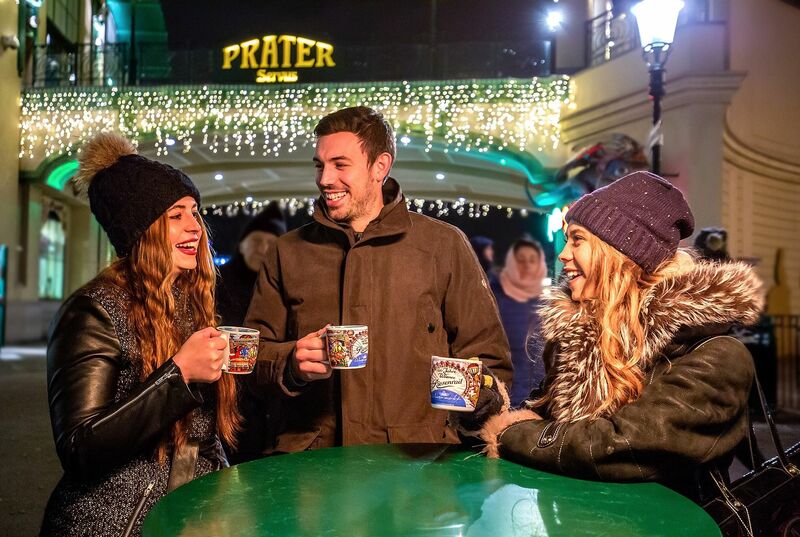 Winter Wonders has over 200 chalets full of handcrafted products and treats such as waffles, chocolate and mulled wine. The ice rink is perfectly situated in front of the Monnaie theatre. Skate around with Brussel’s beautiful architecture in the background. Winter Wonders sees the new addition of 2 high tech interactive igloos. Many activities will be held within these igloo’s ranging from filmed screenings to concerts! The Dome’s are located between place de Brouckère and rue de l’Évêque. Get your accommodation sorted! Stay with us at Safestay. Check out our Brussels Hostel and book your stay with us now. Edinburgh’s Christmas market is six weeks full of fun and excitement. 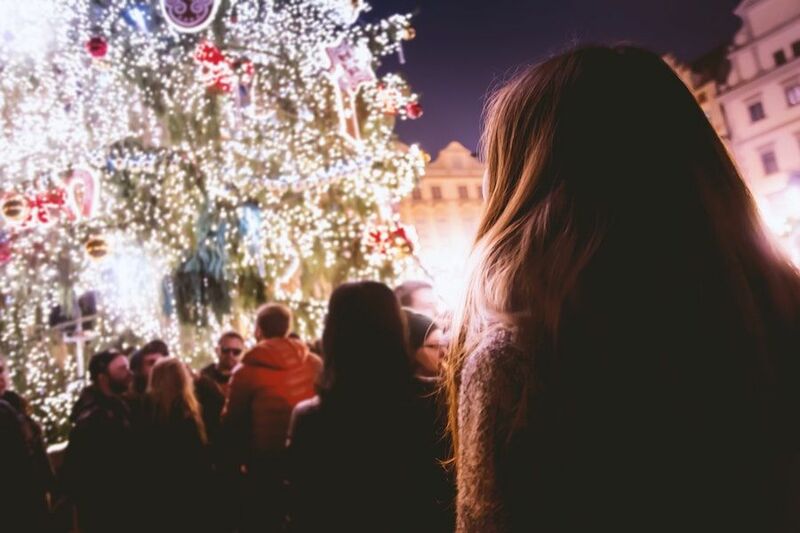 To kick off December in style, Edinburgh is hosting a ‘real-life advent’ calendar. 24 Doors of Advent takes you through 24 of the city’s most impressive monuments from the Talbot Rice Gallery to the Edinburgh Gin Distillery (maybe you’ll be able to try some of the gin!) Find out more of the other locations here. It wouldn’t be Edinburgh if whisky was not involved! Johnnie Walker Bothy Bar opens its doors to the public! A two-floor bar that serves a variety of whisky cocktails and hot toddies will help you discover your new favourite liqueur. Edinburgh has really upped their game with the number of rides and attractions available. Be sure to try out the Helter Skelter! You’ll be able to see the great views of the whole market when you’re at the top before whirling your way down. End the night by skating in the beautiful elliptical ice rink that surrounds the Rekorderlig Cider Lodge in St Andrew Square. After either gliding or falling more times that you can count, enjoy a nice stroll through the Christmas Market in East Princes St Gardens. You can pick up the best local crafts to remind you of this amazing experience. Get your accommodation sorted! Stay with us at Safestay. 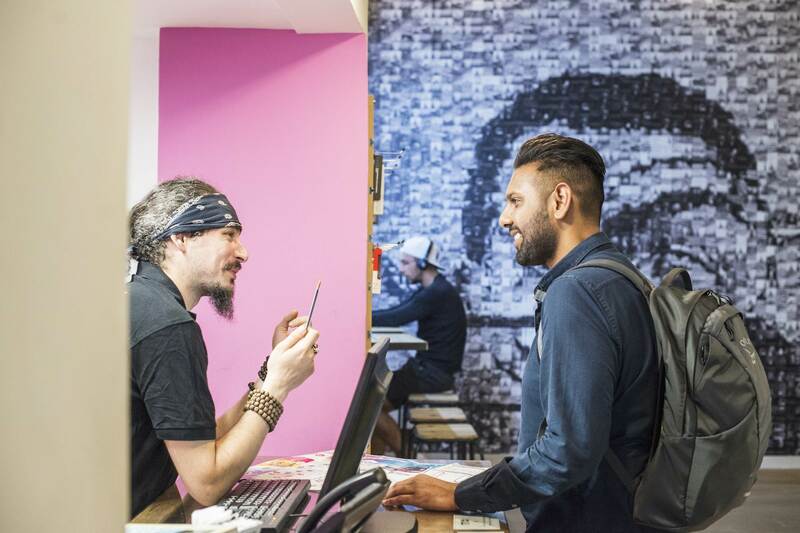 Check out our Edinburgh Hostel and book your stay with us now. York’s Christmas Market sees the return of the popular Thor’s Tipi pop-up bar! Travel back in time in this Viking inspired bar. Warm yourself up with a delicious hot chocolate or mulled wine as you gather around a roaring fire as you discuss your favourite battles. Now that’s definitely worth an Instagram shot! After warming yourselves up you’ll be ready to take on the market. St Nicholas Market brings many unique stalls all offering a variety of products and food at your fingertips. You’ll have to try the hog roast burgers and sizzling sausages. Also, be sure to grab some souvenirs to take back home with you. 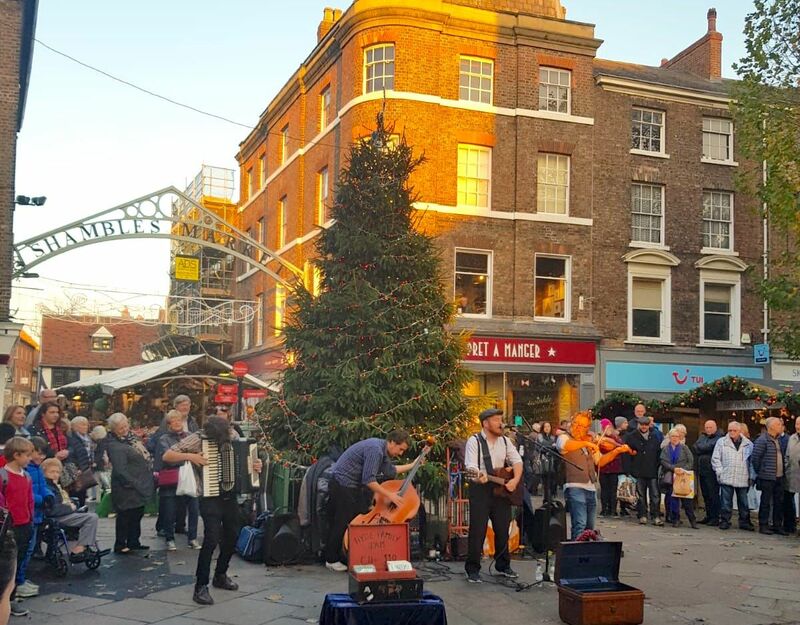 Shambles Food Court will be open every day during York’s Christmas Market. It is the best spot to grab a bite to eat in York. We recommend starting with one of Pizzolí’s Italian dishes and then finishing it off with some of the best French-inspired savoury sweets from the Krep Truck. Plan your trip, we’ve got your accommodation sorted at Safestay. Check out our York Hostel and book your stay with us now.